Over the past few weeks I have met with teachers who are new to working in professional learning communities. I find that I need to create a vision of what they are capable of accomplishing, working as a high functioning team. Defining the difference between a PWC (professional working community) and a PLC (earlier blog) is one of my starting points. John Baldoni provides a video clip for business leaders exploring the need to build a picture of what teams are capable of achieving if they work together. My purpose is to examine the amount of leadership effort people are willing to invest in preparing and supporting teachers in building effective PLC practices. I’m finding that many administrators lack a clear vision of effective PLCs and therefore are unable to “paint the picture” for teachers. I am afraid many schools are getting compliance performances from principals and teachers. The principal is creating the time for PLCs to meet and the teachers are completing “expected/required” tasks on the PLC agenda. This often produces PWCs instead of PLCs. What does your teaching team believe about collective teacher efficacy? Collective teacher efficacy refers to the “collective self-perception that teachers in a given school make an educational difference to their students over and above the educational impact of their homes and communities” (Tschannen-Moran & Barr, 2004, p. 190). John Hattie has ranked collective teacher efficacy as the number one factor influencing student achievement (Hattie, 2016) based on a meta-analysis by Eells (2011). .
What picture is your leadership painting for the implementation of PLCs? Does your staff believe that through their collaborative efforts they can help students achieve in measurable ways or do they feel that they can do very little to impact student results due to outside circumstances? School leaders must paint the picture for themselves before they can describe it to their staffs. 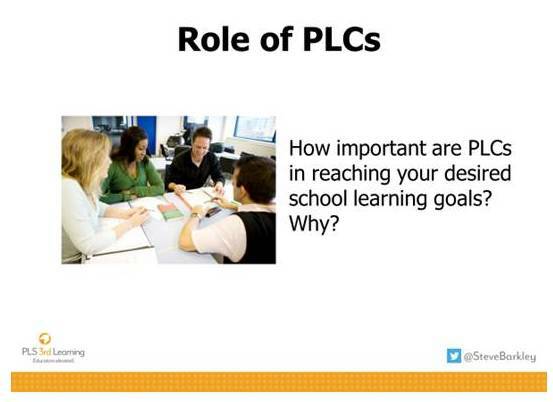 Does your picture of PLCs include them being decision making bodies? 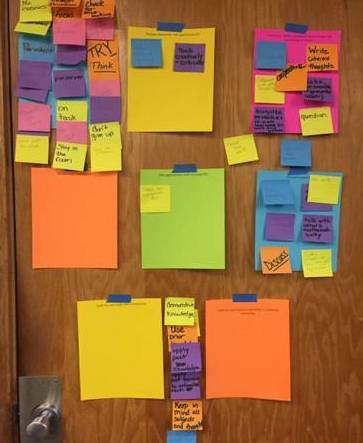 To what extent do you communicate your expectation that ideas for improving student learning emerge from the PLCs? Very often I find teachers telling me that they “can’t do something” that they discussed in their PLC. When I ask what, the principal said when rejecting their idea, I find that they never asked. How do you communicate to teachers that their PLCs are empowered? Do they know that you expect them to “push you” …. to continually be proposing changes that increase student learning?. 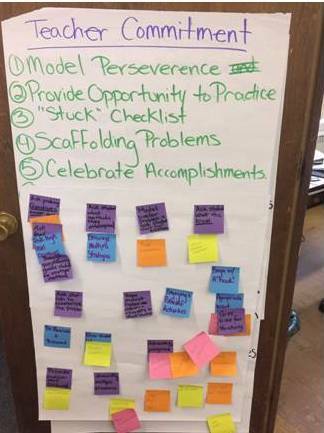 How do you communicate your belief in teachers’ collective capacity to achieve stretch goals? My partner, Michelle, is an elementary vice principal who recently created an extra block of time for teachers’ collective work. She provided a 90-minute learning activity for 118 grade four students with some support from her technology coach and principal. She selected the 90 minutes that preceded the usual 90-minute common time that she has built into the schedule, thus creating a 3-hour PLC block of time. I am certain her teachers understand that she believes in their collective capacity to continually improve teaching and learning for students. No surprise she has requests from four more grade level teams! Teacher persistence is critical to guide continued student learning while addressing the many challenges that confront what we might describe as ideal conditions. School leaders must consciously consider their purposeful actions to create teacher collective efficacy that will promote that persistence.